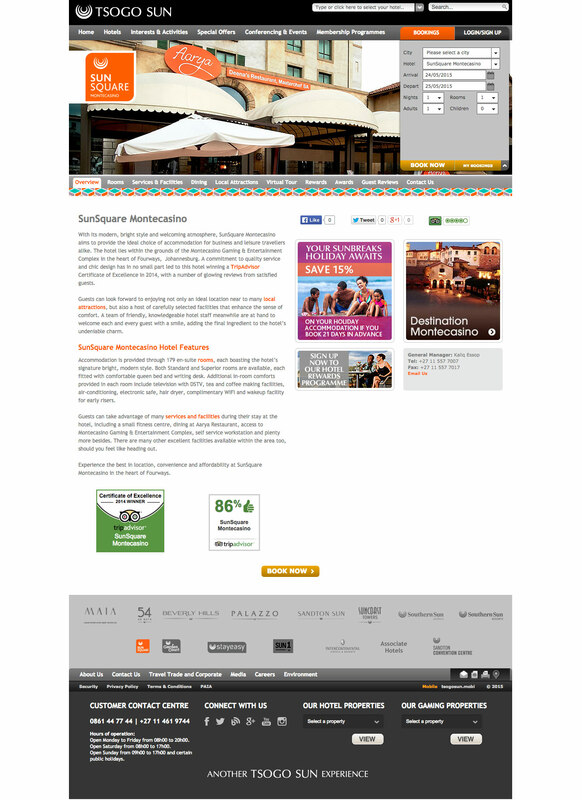 From time to time the Tsogo Sun hotel brands underwent CI changes. These varied from subtle changes to complete brand overhauls. 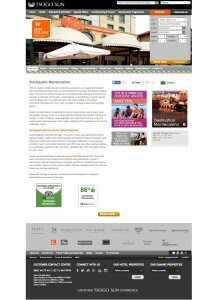 It was up to the me to make sure that the CIs were reflected accurately on the website. Since the hotels website used SharePoint there were some limitations to what could be changed but I haven’t let this stop me yet. Here are 3 examples of brand overhauls. 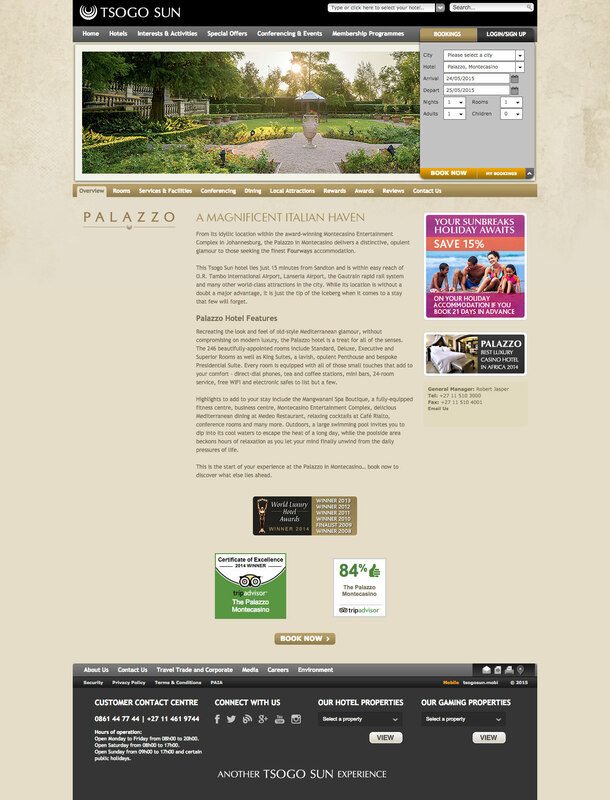 Each hotel has it’s own site where guests can find out more about the hotel. 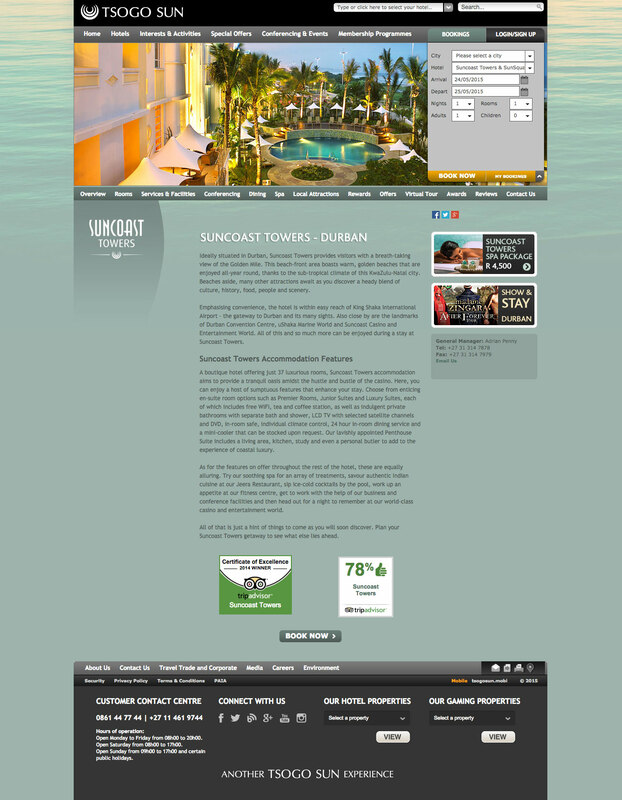 The Suncoast Towers brand uses a lot of the Suncoast Casino elements while maintaining a sophisticated flavour. The Palazzo recently updated it’s brand with new textures and fonts.